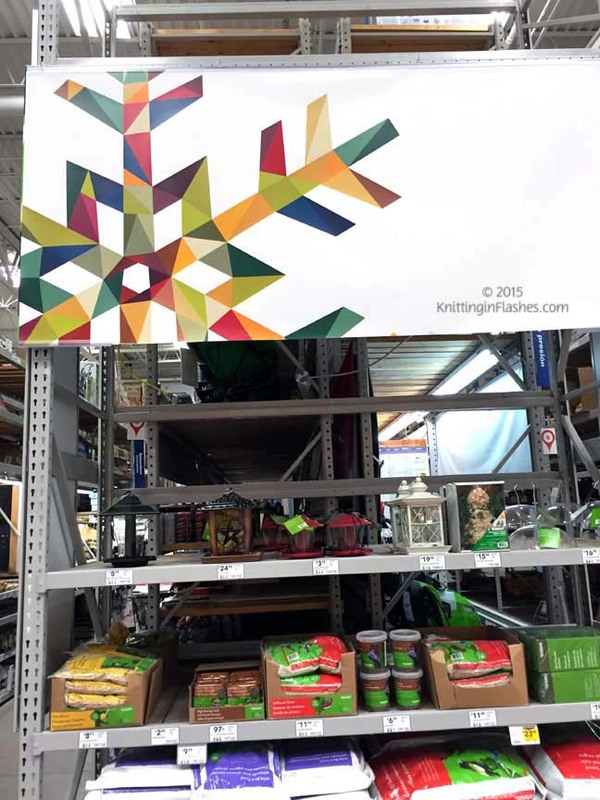 Inspiration struck me at my local Lowe’s store last week. 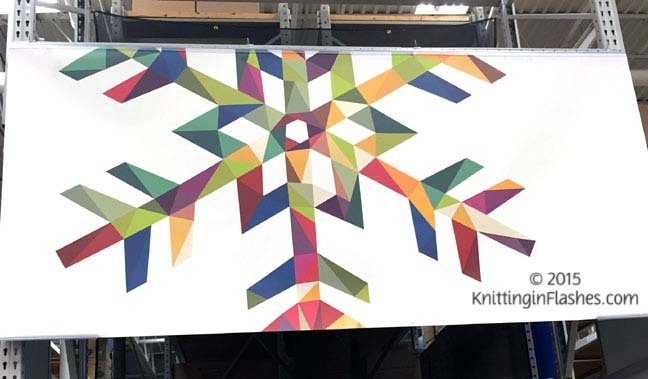 I stopped in my tracks when I saw these huge posters of snowflakes. 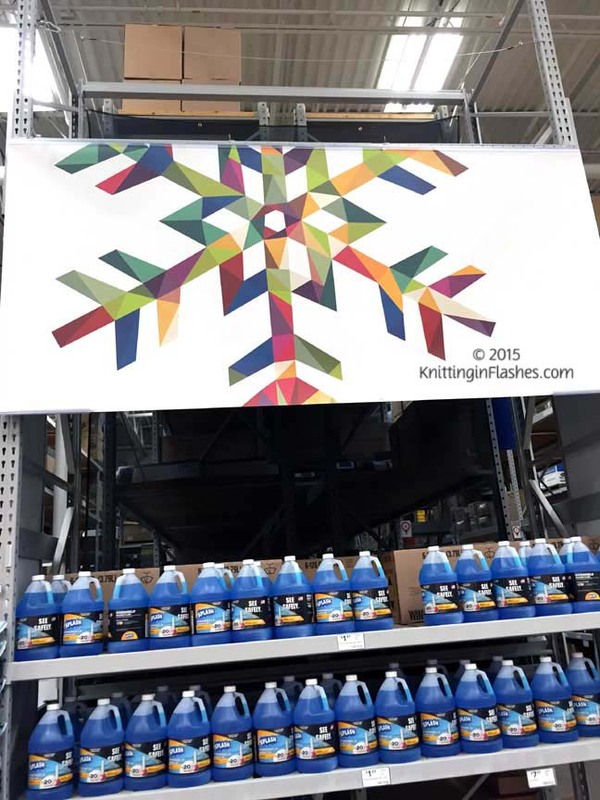 Huge, colorful snowflakes that could become a quilt. Another customer saw me snapping these pictures with my phone and looked at me like I was wacky. 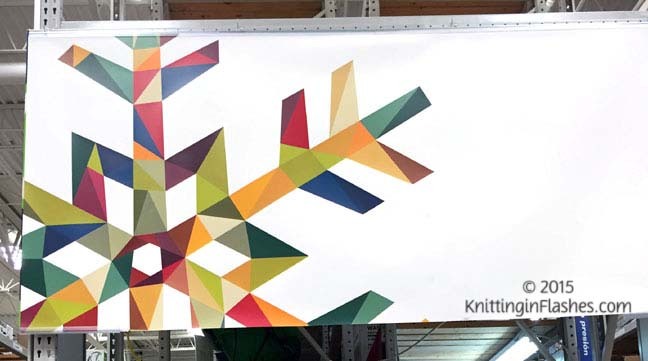 But that stop me from explaining how I saw the snowflakes as possible patchwork quilts. After looking at them for a few seconds, he agreed with me. And walked away rather quickly. Inspiration in an unusual place. Have you been inspired by anything unusual? This entry was posted in inspiration, quilt, quilting and tagged inspiration, patchwork, quilt by Patti_is_knittinginflashes. Bookmark the permalink. My inspiration has Hellen the coop. Snowflakes are beautiful.